Welcome, new friend. If you are looking for timeless images that enliven your soul, you are in the right place. When you are done browsing through my website I want you to be energized from seeing my beautiful images and ready to face the challenges of your life. And I hope we get to collaborate a project for you to have amazing images that bring hope and joy to you and your loved ones. Hi, I’m Amber Fife. I can’t wait to meet you! During the ten years I have been in officially in business (and a few more before that), I have photographed hundreds of weddings, hundreds of portraits, and taught hundreds of aspiring photographers. My work has been published in international magazines, and featured on blogs and in print. I have worked hard over the years to understand light and what makes a compelling image, and I relish in creating that for my clients. I hope to be able to do that for you too! My website has gone over a number of facelifts every few years, but from the beginning I have aimed to create timeless images. I discovered photography while at Brigham Young University. I double-majored in Mathematics and Visual Arts. (And ask my husband how beneficial my math degree has been :). My love of photography began in the red-hued darkrooms of the Brimhall building at BYU, but became an addiction when I first used digital to photograph African children on a humanitarian trip in 2001. Five years later, Fife Photography officially was born. 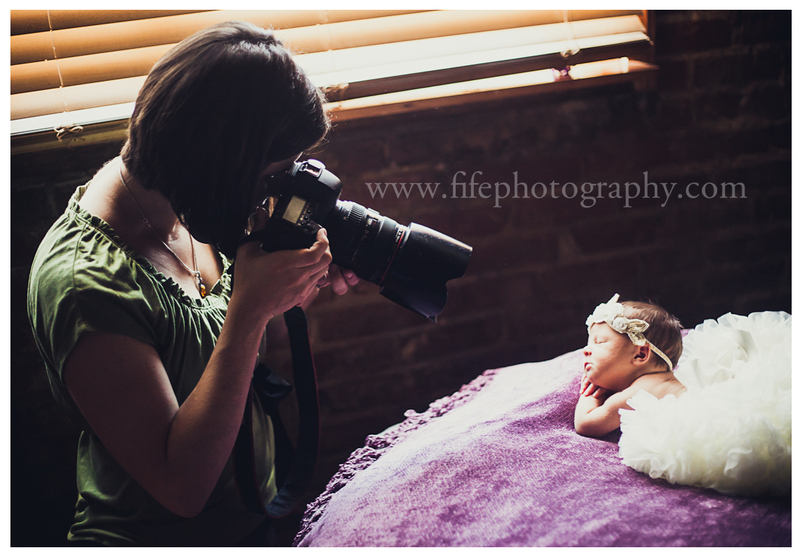 In the last 9 years, we have photographed hundreds of weddings, families, seniors and newborns. From the beginning, my husband has been my partner in crime, shooting weddings, creating multiple websites (this one included), structuring our class curriculum, and teaching hundreds of students. We’ve spent hours shooting, teaching, and brainstorming together. At the ripe old age of 29, he decided to retire so he could focus on his career in statistics, but he still enjoys popping into photo shoots now and then. Looking at pictures I take is like Christmas morning. (My husband knows not to disturb me after a photo shoot :). I have traveled the world: Italy, France, London, China, Thailand, Japan, Kenya, Uganda, Ghana and Taiwan. All before I was a photographer. A trip is long overdue. I’ve performed with a choir in the Vatican, done a handstand on the Great Wall of China, and toured trails in Thailand atop an elephant’s head. I love the sound of the flowing river next to my grandparents’ cabin, and sitting in a cozy room with the afternoon sun pouring in. I cherish heart-to-heart talks with those who make me feel safe. I love sipping hot cocoa while getting lost in a good book. I love my family: my darling (albeit nerdy) husband and 3 crazy boys. We welcome our daughter June of 2015 and we are all in love. Most of all, I am grateful for my belief in God, which colors my perspective on life. My images and the stories behind them warm my heart–I hope they bring a smile to your face.